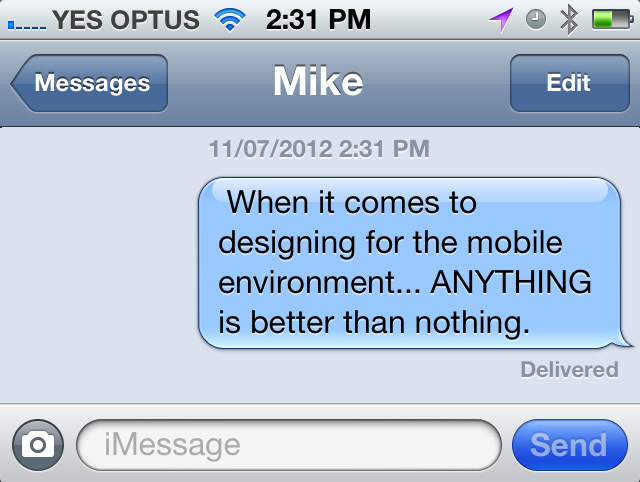 My team is currently playing around with some mobile extensions to a major digital campaign to roll out next year. After some strong discussion around how to most creatively solve the issue with the inevitably low budget, one of my colleagues said 'maybe we should check out FWA and see how they deal with it'. I thought that was a brilliant idea... 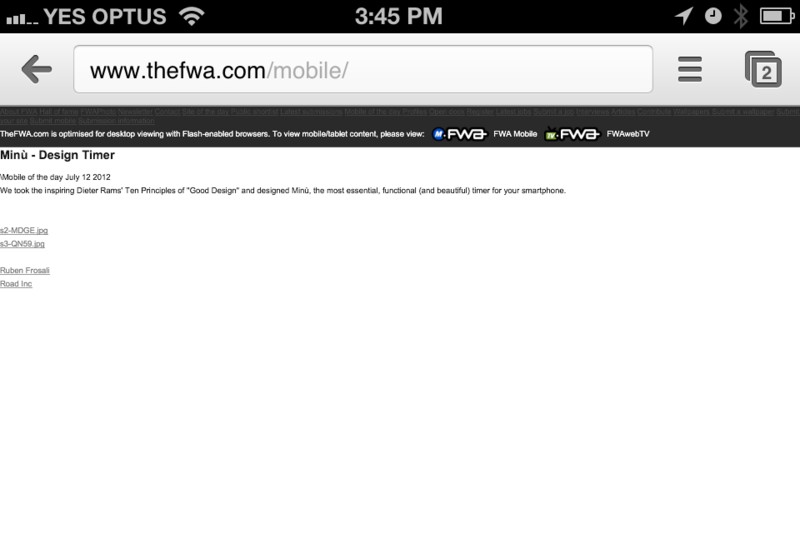 The FWA (literally, Favourite Website Awards) is a showcase of the best online work in the world - surely they would have dealt with this problem in a clever, proactive way? So in future, when you're having the typical argument about what to do with your mobile experience after the new guy in the office says "so I tried to show someone our website over the weekend and it wouldn't work on my phone?" ... Don't just agree to leave it for another month.